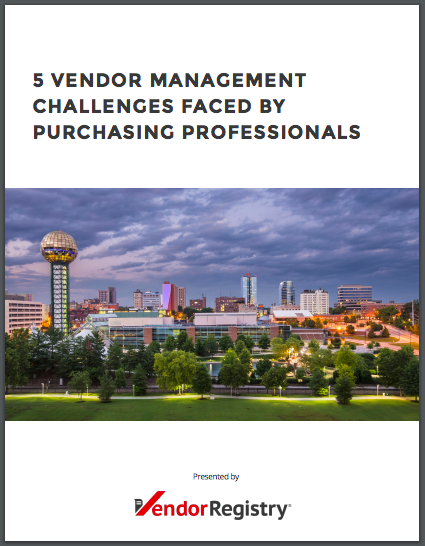 Chances are, you’ve heard at a purchasing association meeting or from a peer in the local government space about solutions that help purchasers manage vendors online. These types of solutions are often wrapped into a larger ERP system, which can be expensive or, worse, complicated to implement. Traditionally, vendor management software has required large up-front costs and lengthy (and often complicated) implementations, but with an average local government bidders list consisting of almost 800 vendors, effective vendor management is key to organizational efficiency and must be carefully considered by purchasers. Today, cloud-based applications and Software-as-a-Service (SaaS) pricing models have changed the game. World-class applications for a reasonable monthly fee (some even with a free version) are now readily available. These “GovTech” SaaS applications can be tailored to address the specific challenges faced by local government purchasing professionals still using paper or spreadsheets to manage vendor registrations and documentation.